KRandMJ wrote: Apparently something is happening with Anima. Anyone know what it is? Also, anyone have that pic of unit-1 busting out of a building. At the Ikebukuro P'PARCO where EVANGELION STORE TOKYO - 01 is located, Mr. Yamashita 's autograph session has been decided! Ikari Shinji Age 17 ... This is what he wanted "the world three years after"
Three years have passed since the deterrence of "human complementary plan" .... What is a new battle? Revive here after ten years. KRandMJ wrote: Apparently something is happening with Anima. Anyone know where this image came from? It's a fan art, it doesn't have the artstyle of any of the official material I've seen. Google doesn't find anything about it too so I'm inclined to say that it may be from Pixiv or a similar webiste but it's just a guess. Joseki wrote: It's a fan art, it doesn't have the artstyle of any of the official material I've seen. Google doesn't find anything about it too so I'm inclined to say that it may be from Pixiv or a similar webiste but it's just a guess. 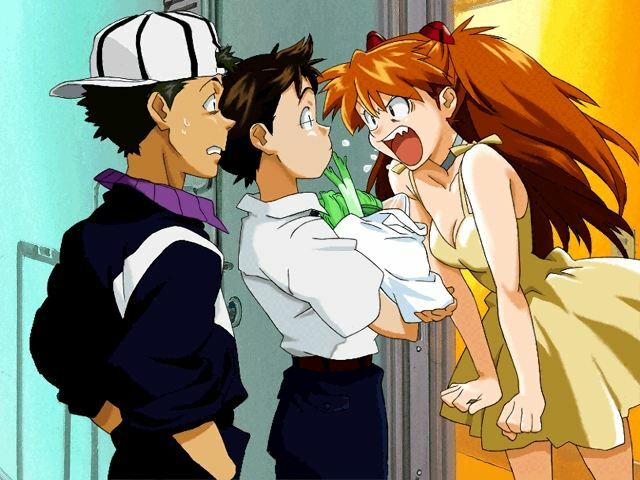 There was this piece of Eva fan art from back in the day that I really liked and had saved on an older phone, and I was wondering if anyone remembers posting it in the image thread and if so could they repost it here for me(or PM me or whatever). My description of it will probably be crap, but I'll give it a whirl. So the image is of Shinji in his school uniform sitting on a bombed out building holding Misato's cross. It's kind of a wide shot so Shinji isn't that big in the image. Off to the side we see the back of Shogouki with the entry plug sticking out. The image was taller than it was wide(and would look really good as the lock screen on my phone). I'm 99% sure it was posted on here back in the wonderful year of 2014.
does anyone know what episode is this image from? 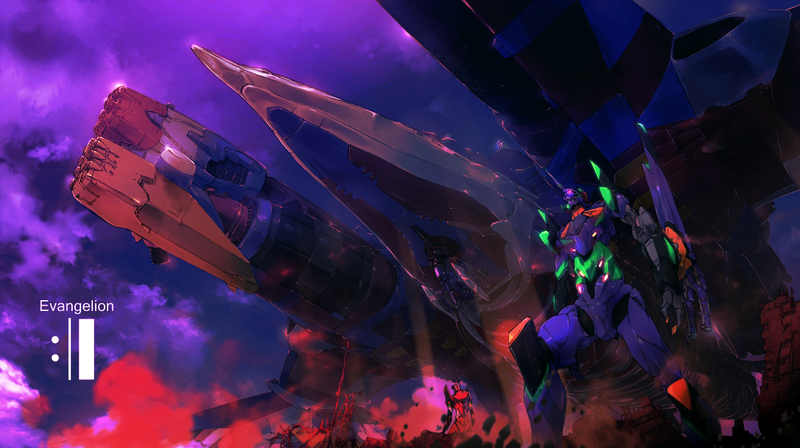 When Eva 01 opens his eyes and they lights out. Here's the link of the picture, I'm sorry for the low quality. Isn't that from the first movie? I don't think so, I think it's from the anime, but I can't find it. ... 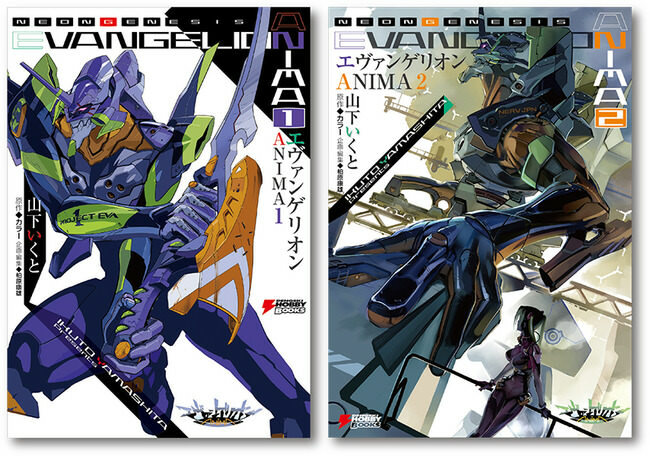 Damn, I actually thought I was looking at Eva-01 wearing a massive set of Angel-killing armaments. I saw a picture that had Asuka and Rei as Cuphead and Mugman respectively or vice versa, I can't seem to find it now. Any idea where I could find it? Hi. I'm looking for a fanart with Asuka being bandaged, holding a Sunflower and lying in a bathtub. I would be very grateful for finding it. The Cruel wrote: Hi. I'm looking for a fanart with Asuka being bandaged, holding a Sunflower and lying in a bathtub. I would be very grateful for finding it. This might not be the right one but its very close. silvermoonlight wrote: This might not be the right one but its very close. That's the one I'm looking for. I thought it was on Tumblr, but I my search wasn't successful, so I had to ask for it here. It catches the feels about Asukas aftermath of One more Final: I need you very well. Thank you Sil. The Cruel wrote: That's the one I'm looking for. I thought it was on Tumblr, but I my search wasn't successful, so I had to ask for it here. It catches the feels about Asukas aftermath of One more Final: I need you very well. Thank you Sil. Your welcome here is the artist link as I forgot to post it. Does anyone have a better bigger version of this?